VIP Access to exclusive Rooftop. Enjoy reserved table seating (GA ticket holders stand, table may be shared with others). An admisitration Fee per pre-purchased bottle will be collected by the venue at the event: It is not included in the ticket price. Each guest at a Main Room Ultra VIP table must be a Main Room Ultra VIP ticket holder (ticket price is per person). Enjoy reserved table seating (GA ticket holders stand. Tables may be shared). Each guest at a Main Room Platinum VIP table must be a Main Room Platinum VIP ticket holder (ticket price is per person). Enjoy reserved seating (GA ticket holders stand). Each Rooftop Seated VIP ticket holders shall have a reserved seat for the duration of the event. Only persons holding Seated VIP tickets may use reserved seating. Rooftop Seated VIP tickets accommodate any size group (no minimums required – pending availability). Bottle service or cocktail service for Seated VIP ticketholders is not included. If your group is larger than 2, additional tickets can be purchased separately, however table seating and space is limited to Bottle Package table size. 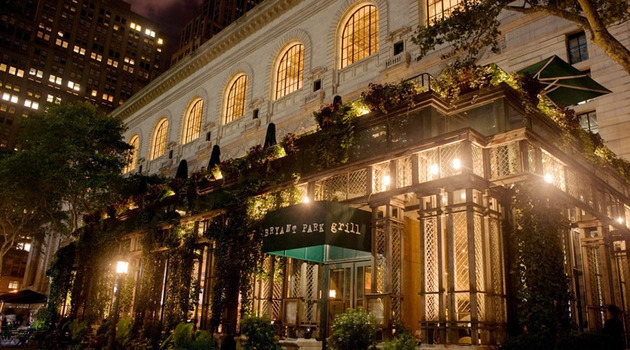 Bryant Park Grill's extravaganza will be the toast of the town this New Year's Eve. 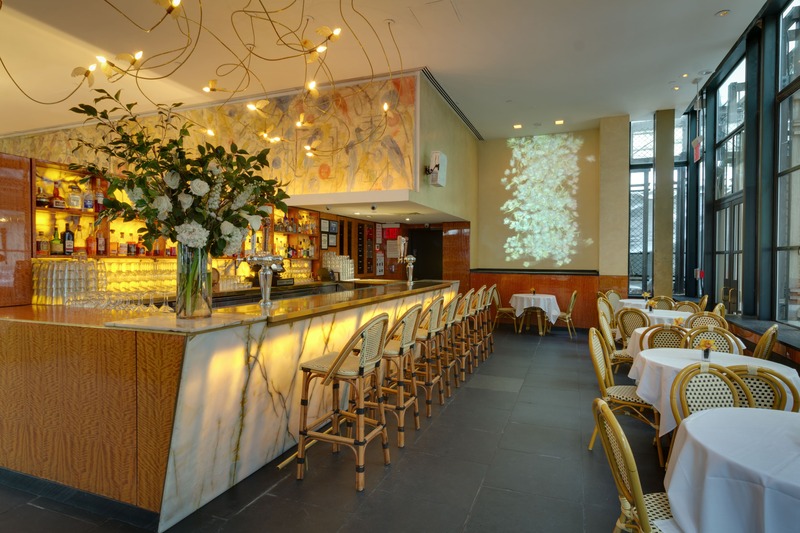 Celebrate this NYE with sophistication and Parisian flair at New York City’s most lauded restaurant-lounge, Bryant Park Grill. Just a stone’s throw from Times Square NYC, you'll enjoy gorgeous and scenic Bryant Park as your backdrop as you welcome the New Year in high style. The NYE revelry begins with a 5 hour premium open bar. The party temperature rises as a top NYC DJ spins Top 40, Rock, Hip-Hop and 80s music as guests dance in place or saunter to the generous dance floor. New Year’s party goodies provided complimentary by Bryant Park Grill passed hors d'oeuvres as early evening starters, a continental breakfast in the wee hours of the morning and wonderful fun-filled holiday party favors. As the evening reaches its intended midnight climax, a heart-stopping DJ countdown will have everyone raising their glass of complimentary champagne to welcome and toast the New Year in style. 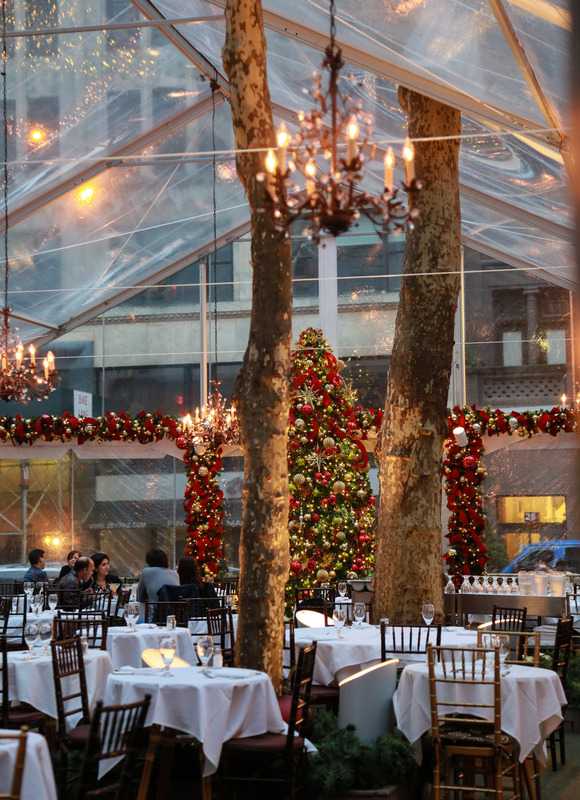 Only the best for its guests, Bryant Park offers Patio and Rooftop VIP Packages for groups and a special Couples Champagne Package for romantic twosomes. 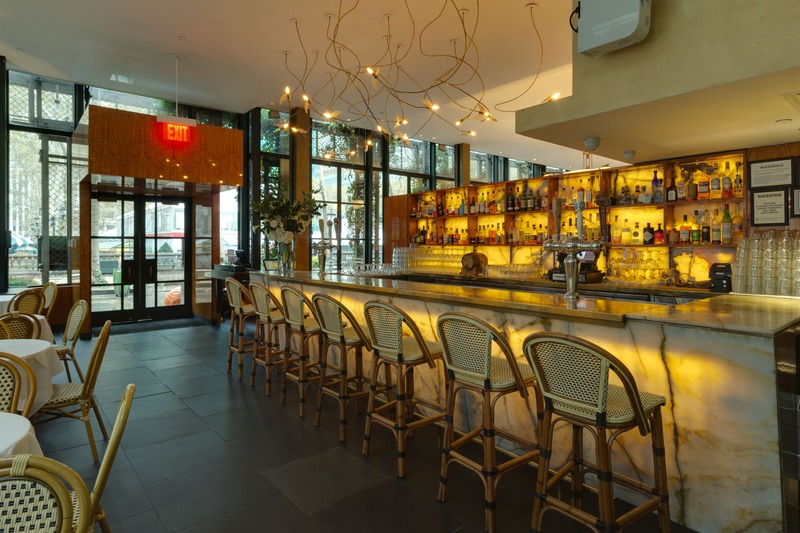 We are confident you'll want to welcome in the New Year with a bang at this impressive space that's defined by its haut couture style and over-the-top Manhattan panache. 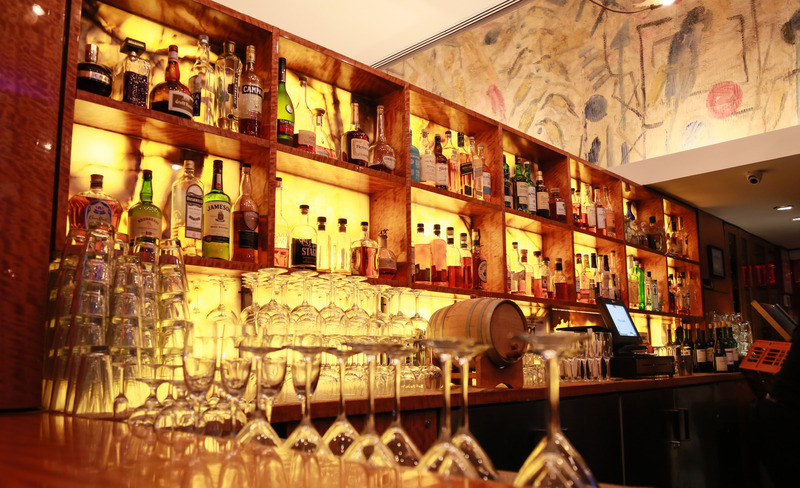 Join the scene, and most importantly, be seen at this gorgeous eatery that caters to an international crowd of celebs, fashionistas, financiers and moguls. 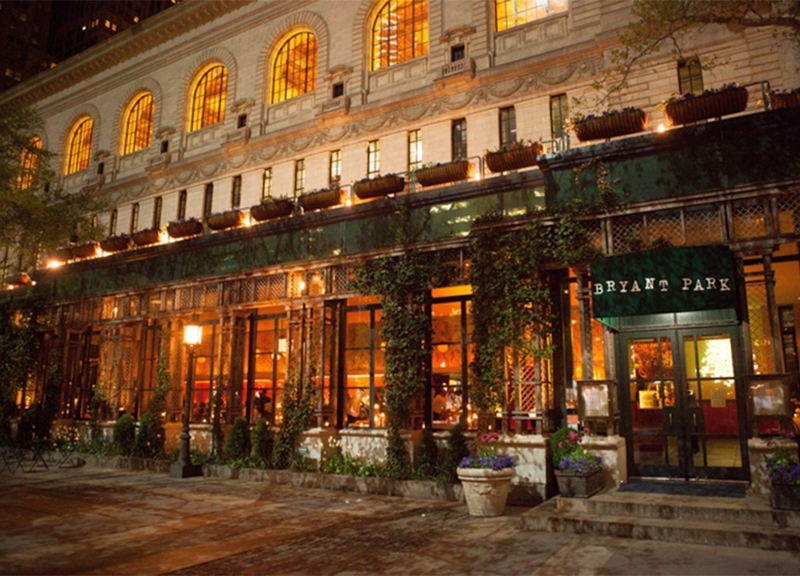 Bryant Park Grill is located just one block from the prestigious Fifth Avenue and two blocks from the famous Times Square NYE celebration. Its locale, notably mentioned by the New York Times as one of Manhattan's loveliest public spaces, is nestled behind a landmark treasure, the New York Public Library. 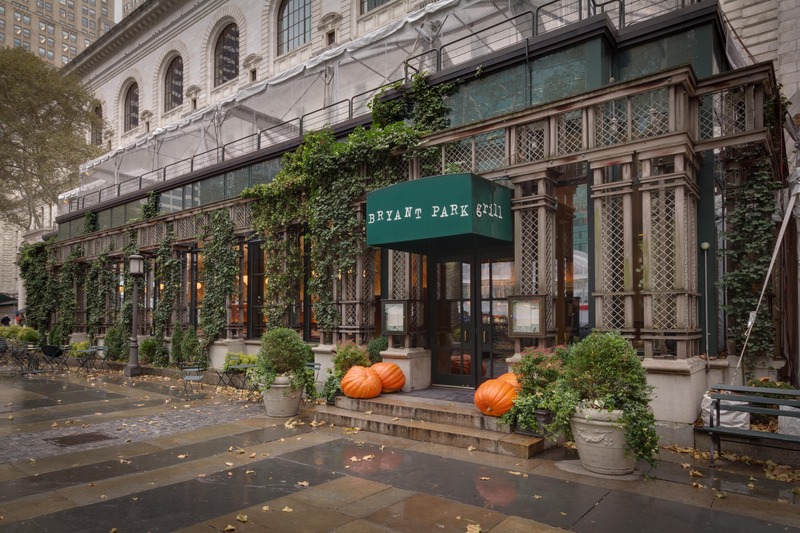 The exterior of Bryant Park Grill is flourishing and lush while the interior takes a leaf from the surrounding parkland, carrying out an arboreal decor theme enclosed in an architectural glass structure. Twice a year, the fashion industry’s royalty alongside celebrities descend on Bryant Park for the illustrious Mercedes Benz Fashion week. 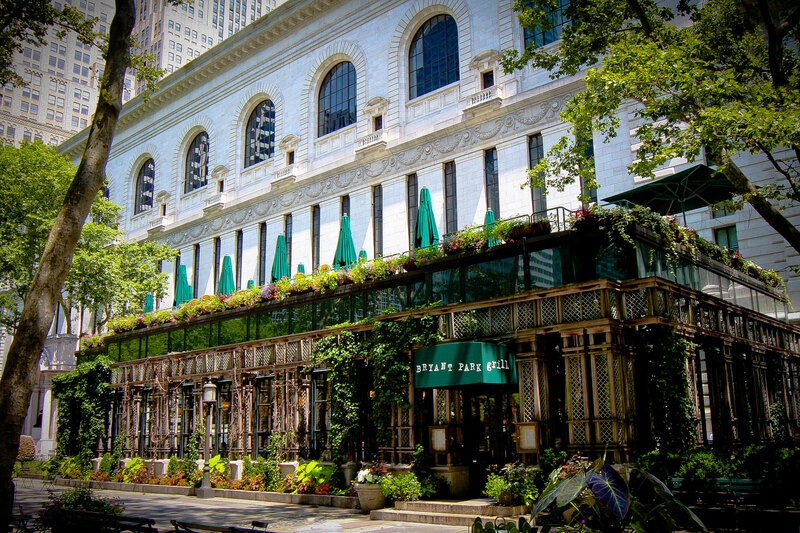 In addition, Bryant Park Grill has been frequented by various celebrities such as Gwen Stefani, Gavin Rossdale, P. Diddy, Carrie Underwood, Carmen Electra and Anne Hathaway. 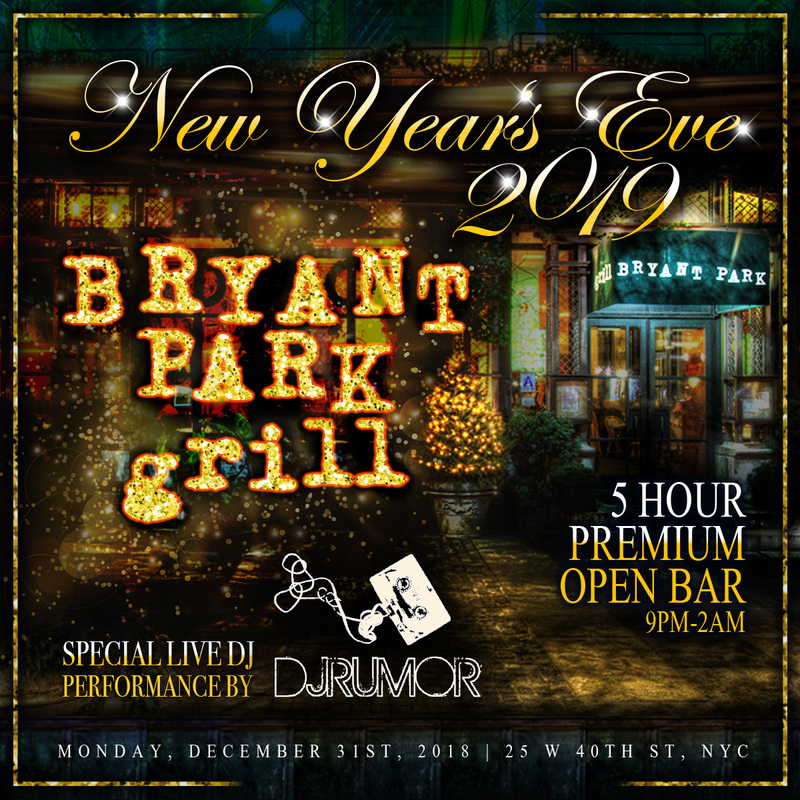 You’ll be sashaying and cavorting your night away like supermodels and rock stars at the one and only Bryant Park Grill for New Year’s Eve. Get an advanced purchase ticket today before it sells out.